Plans for a new chapel had been in the making since 1890. 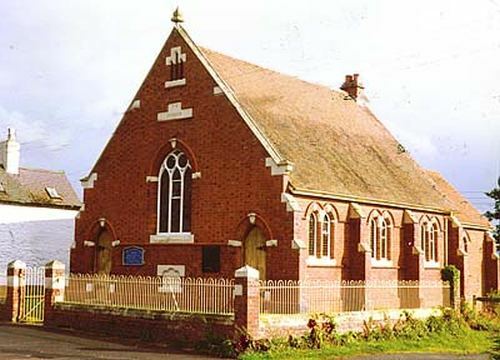 This chapel was erected in 1893-4 on land given by Sir Baldwin Leighton. Tenders to build the chapel were invited in July 1893. The foundation stones were laid on the Monday 7th August 1893 and the chapel opened on Good Friday 23rd March 1894. The architect of the chapel was Mr G. H. Bickerton of Shrewsbury and the builder was Mr D. P. Jones of Welshpool. The chapel is still in use in 2017. It replaced a former chapel situated 100 yds. away down Wigmore Lane which was said in 1893 to be too small. For photographs of the former chapel click here.